Let’s leave the College Admission Scandal alone until I can wrap my own insanity around that insanity. That brings me to a somewhat related story about what parents will do for their children with mixed results. Bring on Legendary/Notorious Former Governor of Massachusetts, and former United States Congressman of the Commonwealth, Rouge, but most of all, former Mayor of Boston; James Michael Curley. Well, for most people, this would have been extremely awkward and problematic……Not for James. It’s not like he could “drop down” to the corner for a few slices of pizza in place of dinner. First of all, such establishments didn’t exist in those days, and if they did, Irish People were not known to easily partake in something as “foreign” to their pallet as Italian Cuisine. That may sound funny and absurd, but check your history, and you will find a time when “Spaghetti Houses” were the rage in culinary adventure. Second of all, he was invited to dinner; a dinner he intended to finish. The servant, noticing that he had no intention of leaving, continued to serve the roast lamb dinner. Curley took his time and finished his whole meal including dessert. When he finished that, he requested a fine cigar and the best whiskey in the house. Sometimes a fine dinner alone is soothing on the soul. Now back to the Titan. Maybe he was just trying to do the best thing for his son, but I’m sure the thought crossed his mind more than once that in the future if he wished to bribe someone on behalf of his son, it would be best to meet that “someone” down the street at the local restaurant. Of course…….there is one more part to this blog that the Curley and Parental Corruption story remind me of. Years ago in Rhode Island, the Governor and his son were running a criminal enterprise. One day a contractor met the Governor at the Walt’s Roast Beef Restaurant to bring a cash kickback. In all the confusion and excitement of running a bribe scheme out of a fast food joint, the Governor threw out the wrong wrappers of mustard and mayo, and the cash wound up inside the dumpster. 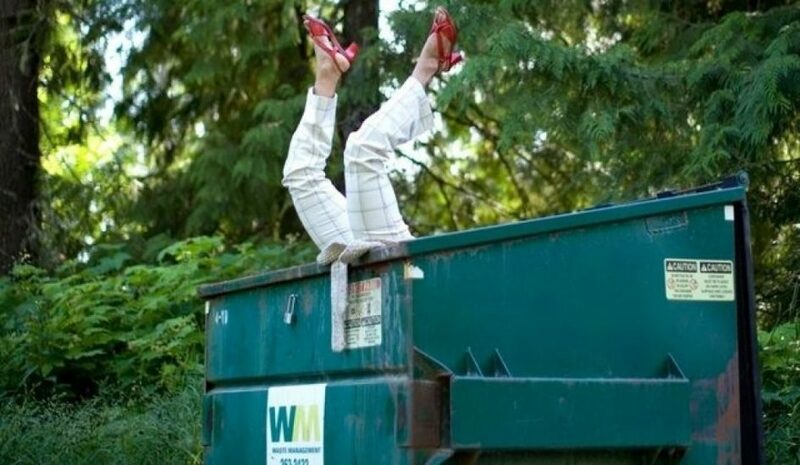 The Governor had to climb in the dumpster and dig out the $10,000 wrapped in an envelope. This is a true story and a possible blog down the road. Bribery is a tricky business. Oh, this post! This is perfect – I didn’t know about Mayor Curley, but I remember the Walt’s Roast Beef episode. HAHAHAHA! Wow. Big doings in RI! So entertaining, ZD.